This blog was originally published in November 2016 and was updated in March 2019. Ensemble Video’s lecture capture solution is a disruptive force in higher education, providing educators with a more cost-effective video platform than others on the market. Lecture capture technologies have advanced rapidly over the years, creating an arms race resulting in high prices and overly complicated products. At Ensemble, we recognized this was hurting the customers we aimed to serve. 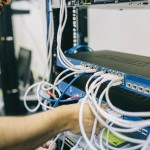 To ensure our technology gave our customers the best possible experience in a cost-effective video platform, we committed to making our video platform simple, helpful and affordable. Many companies developing lecture capture technology still believe that in order to “wow” their customers, they need to provide complex technologies. These “advancements” have left some schools struggling to deploy a lecture capture system across their entire university. But because Ensemble was created with education in mind, it is easy for educators to use. Ensemble Studio is a lecture capture recording and scheduling system that uses room-based video capture hardware, enabling easy, automated recording that can be deployed in every classroom on campus, large or small. Ensemble Studio makes the lecture capture process hands-off and automated. Once a lecture capture has been scheduled, the recording automatically starts and stops at the scheduled times, recording the entire presentation and projector screen. Then, Ensemble’s publishing tools automatically send the lecture to your school’s learning management system (LMS), whether you use Blackboard, Moodle, Canvas, BrightSpace by D2L, Schoology or something else. 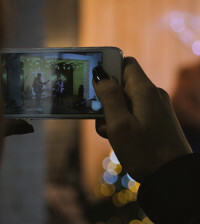 Many instructors want to create videos anytime, anywhere with a cost-effective video platform. Ensemble Anthem meets that need. 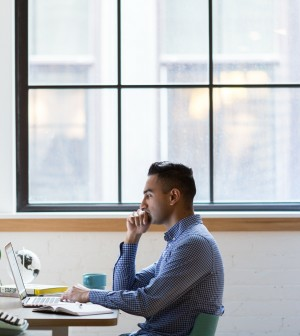 Anyone can record voice, video and visual aids from their computer. That recording can then be accessed online from any device on the Ensemble Video platform. 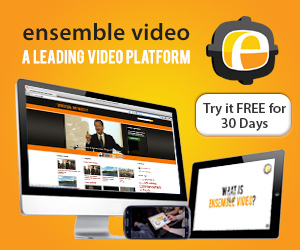 Ensemble guarantees video delivery to virtually any device. For viewers, Ensemble offers multi-device streaming, closed captions, search inside video, annotations and varying levels of playback speed. These features allow greater accessibility for students with different learning styles and needs. 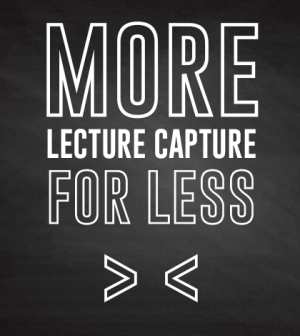 You can achieve all of your university’s lecture captures needs with a cost-effective video platform. 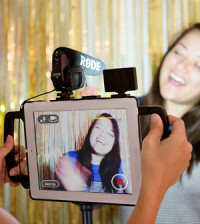 You don’t need complex and expensive recording equipment to effectively capture classroom presentations in lecture halls, classrooms and seminar rooms. Ensemble Studio uses the Matrox Monarch LCS (and Matrox Monarch HD) to record and stream classes or events. The Matrox Monarch LCS is an affordable, high-quality recording device that enables dual-input lecture capture (picture-in-picture or side-by-side). Whether your courses are online, on-campus or hybrid, you shouldn’t have to sacrifice affordability to teach at your maximum capacity. Lecture recordings help create valuable learning resources that complement, not replace, the classroom experience. With lecture and screen capture, students have more opportunities to review things like demonstrations, previous lectures, guest speakers and more. Are you still wondering whether you can afford to deploy a lecture capture solution across your entire organization? With a cost-effective video platform and lecture capture tools like Ensemble Anthem and Ensemble Studio, yes, you can afford it. Learn more about how Ensemble Video’s cost-effective video platform can help you enhance teaching and learning by scheduling a demo.